Australopithecines, dinosaurs, trilobites--such fossils conjure up images of lost worlds filled with vanished organisms. But in the full history of life, ancient animals, even the trilobites, form only the half-billion-year tip of a nearly four-billion-year iceberg. 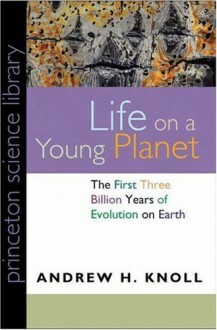 Andrew Knoll explores the deep history of life from its origins on a young planet to the incredible Cambrian explosion, presenting a compelling new explanation for the emergence of biological novelty.The very latest discoveries in paleontology--many of them made by the author and his students--are integrated with emerging insights from molecular biology and earth system science to forge a broad understanding of how the biological diversity that surrounds us came to be. Moving from Siberia to Namibia to the Bahamas, Knoll shows how life and environment have evolved together through Earth's history. Innovations in biology have helped shape our air and oceans, and, just as surely, environmental change has influenced the course of evolution, repeatedly closing off opportunities for some species while opening avenues for others.Readers go into the field to confront fossils, enter the lab to discern the inner workings of cells, and alight on Mars to ask how our terrestrial experience can guide exploration for life beyond our planet. Along the way, Knoll brings us up-to-date on some of science's hottest questions, from the oldest fossils and claims of life beyond the Earth to the hypothesis of global glaciation and Knoll's own unifying concept of ''permissive ecology. ''In laying bare Earth's deepest biological roots, Life on a Young Planet helps us understand our own place in the universe--and our responsibility as stewards of a world four billion years in the making.